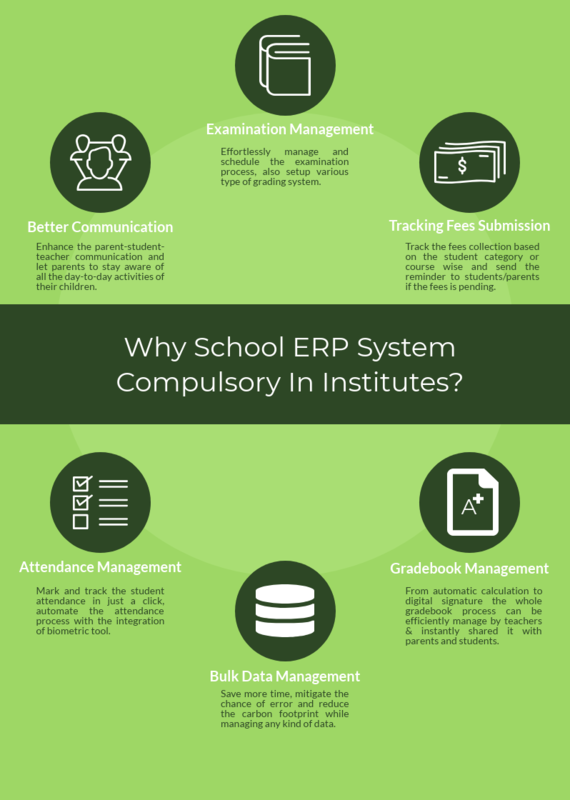 Why school ERP system is compulsory in institutes? One of the first reasons as to why you should use school ERP (enterprise resource planning) systems on a compulsory basis is to make sure that there is no communication gap between the school and the parents. It is common knowledge that when the communication is healthy it has a positive effect on the relationship as well. With school ERPs, it is actually possible for you to have that kind of communication with the parents and that too on a regular basis. Normally, it has been seen that parent-teacher meetings organized once in a while never serve the purpose that they are supposed to. By using a school management system you would be able to manage your examinations a lot better than what would otherwise have been possible. You should know how important exams are – they help you get a proper idea of how well your students are doing. There is nothing to deny that running an exam or a series of such exams can be quite a problematic issue as there are plenty of hassles involved in the same. It takes a lot of time and there is plenty of difficult paperwork involved as well. With a school ERP system, it becomes a lot easier for you to keep track of the fees being submitted to your institution. You should know that everything that is worthy of being learned comes at a certain cost. As far as parents and guardians are concerned submission of fees is one thing that they fear and loathe in equal measure. Apart from the fact that it is a necessary evil and hurts their pockets, for the time being, it is something that takes a lot of time and induces the maximum amount of boredom. When you have a school ERP software system it becomes a lot easier for you to manage data related to your school and that too by a significant amount. You can be sure that no matter how much paper you use to store your school data it would never be safe enough. At the very least it would not be as safe as having the same data in web-based servers with plenty of backups to boot. This is the reason, why having all the data about your school on paper is wasteful and at the same time not at all feasible. The kind of system that we are talking about over here makes it really easy for you to maintain attendance related data of your students as well as your staff and management members. This is especially beneficial for the students as we all know that you take the first step towards learning by being present for your education. If you do not show up you do not learn – it is as simple as that. It also needs to be maintained in this context that regular attendance is a sign that a student is disciplined. Recap: Why School ERP System is the key to an institution’s success? This is also one of the most important tasks that you need to perform in the school and with a school ERP system, it becomes a lot easier to do it. Grades are important for the students as well since it is either a vindication or vilification of their work throughout an entire academic year. With these systems that we are talking about over here, you can design a number of exams throughout the year and maintain the grade-books properly as well. This also frees your teachers to perform their primary responsibility properly enough. There is a lot of advancement and change taking place in the field of technology in the recent days. These advancements have empowered the schools to concentrate more on educating the children rather than spending time on daily operations like marking attendance, conducting examinations, managing marks and much more. The Fedena school ERP system has come out with many modules for the schools to make their administration daily operations run smoothly and in an easier way. 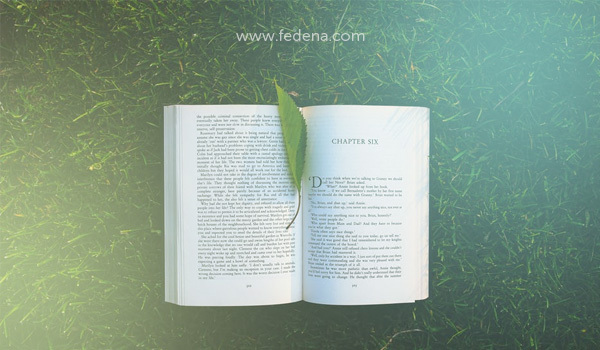 Just like any other release, this time Fedena has come out with many new and enhanced features in its latest release 3.6.3, some of which are in the Gradebook Module. 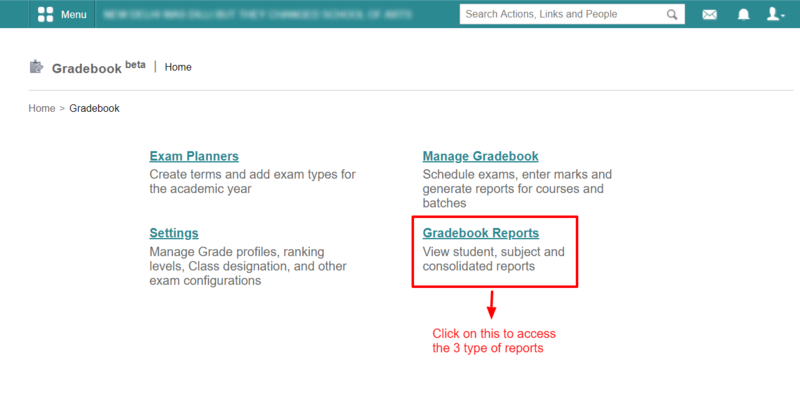 There are 2 new features and 1 enhancement in the Gradebook module this time. Prior to this release, Fedena did not have the option of importing marks or planner. 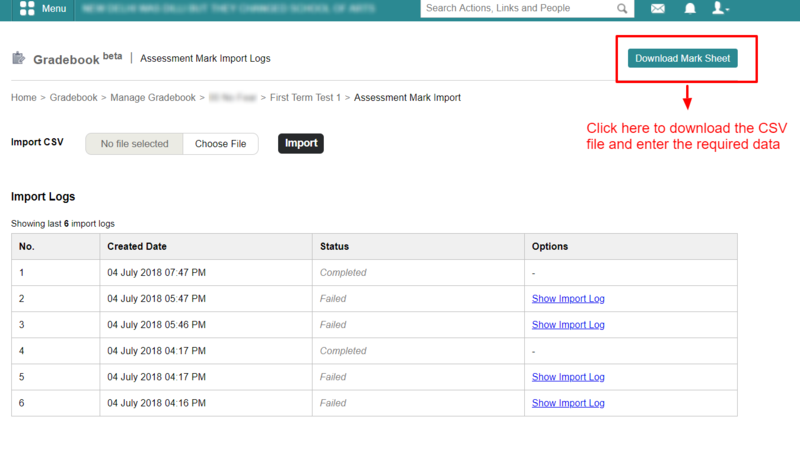 This new feature provides the admin or privileged employee with a mechanism to Import Marks to upload them in bulk. 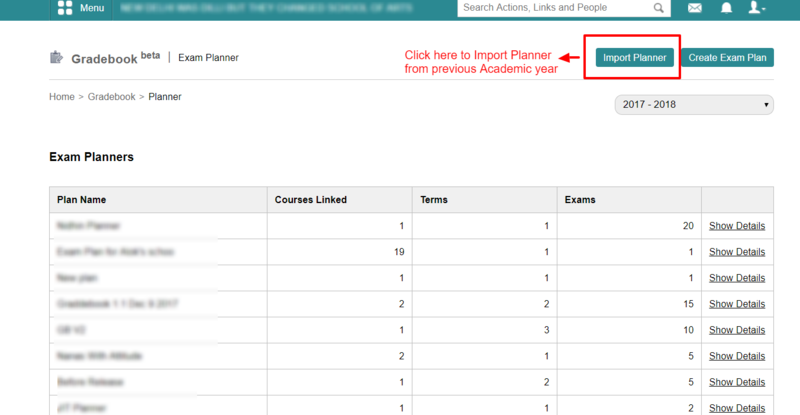 This new feature is used to import an existing Planner to a different academic year. 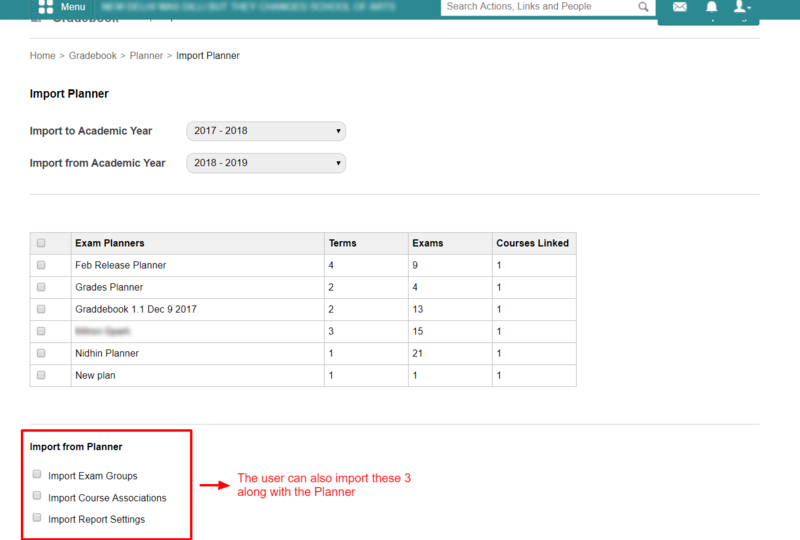 Under the Import Planner, you can also import the Exam groups, Classes associated with that Planner and also the Report setting. This new feature helps the user to view all the reports at one place, the admin or the privileged employee can view the reports in Gradebook. Student Reports: View and download student-wise exam, term and planner reports. Subject Reports: View and download subject-wise exam reports. 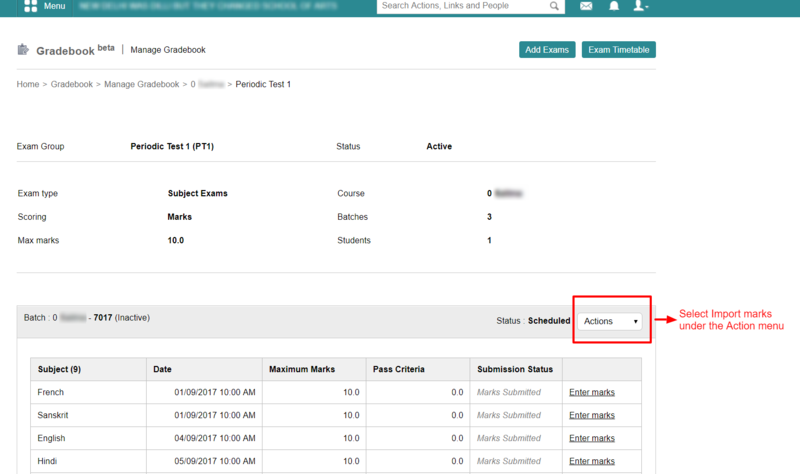 In the previous version of the grade book module, only the admin was able to enter the marks for examinations. If any other employee apart from the admin wanted to enter the marks, he had to be given the privilege to do the same. With the introduction of this enhancement, Fedena supports mark entry by the Subject teacher and the Batch tutor. The Subject teacher can enter the marks of the subject with which he/she is associated. For example, if an employee named Mark Watson is teaching English for Grade 1 and Hindi for Grade 2, he can enter the marks and grades of English and Hindi for Grade 1 and Grade 2 respectively. There is no need to provide any additional privilege to enter the marks. The Batch Tutor will get the privilege to enter the marks of the batch for which he is made a tutor. The batch tutor can enter the marks for all the subjects of his batch. There is no need to give him any additional privileges. Having explained all the latest features of the module, we would personally recommend you to go ahead and explore all of them in your Fedena today. Why School ERP System is the key to an institution’s success? What is a school ERP system? A school ERP system, like Fedena, is a platform that automates the processes an institution runs on. Right from admissions processing to alumni event organisation, your school management system can ensure that your institution runs more smoothly. A school ERP is especially useful because it takes over multiple functions – from organising parent-teacher conferences, to fee processing and receipt generation, to setting up of study groups for discussions based on subject or learning levels, or even to ensure readily available private communication between various stakeholders. Why do schools need one? School ERP systems bring schools into the digital world while also making things easier for them. They help schools run more smoothly and efficiently while also reducing labour costs. Schools are not just a simple interaction where students come in to study and then leave. They are huge institutions that need organisation and consistency to function effectively. When they do not, it is students that suffer the most as they are not given the learning environment they need to learn. It is the role of a school to set up a learning environment that enhances and aids its teachers, administrators and students in doing the best that they can. School ERP systems can thus help students, teachers, and management achieve their full potential and do the best that they can for the ultimate stakeholder in this ecosystem – the students. 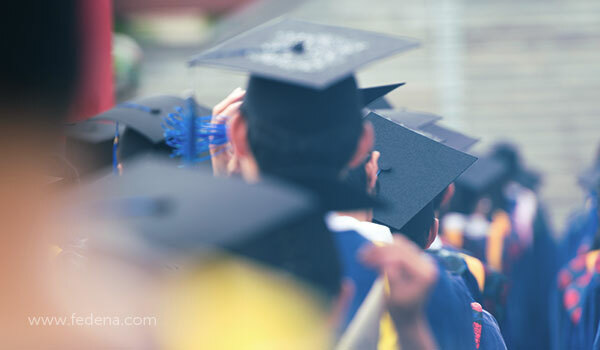 How can school ERP systems make your institution more successful? The primary job school ERP systems perform well are to take over the day to day processes and long-term processes of a school and perform them. This means that these processes, that were previously being performed by humans, are not being performed by a program. What does this mean for schools? It means more consistently successful processes are carried out. This is because humans are fallible and error-prone. Fatigue sets in. Processes rely on perfect execution on a repeated basis – a platform like a school ERP system is perfect for this endeavour. Since a school ERP software can take over multiple processes, labour costs and ancillary costs are reduced dramatically. Earlier, one would need a department for each function of an institution, populated by multiple people as staff. There are also overhead costs – for instance, the paper on which admission forms are printed, mailing of fee receipts, the communication costs of setting up meetings, creating schedules for each student, etc. With a school ERP system, all these are now taking place in a single window – reducing the time cost and the material cost of a lot of associated items. A reduced expenditure is something every school can use in these times of budgetary cuts and funding slashes. School ERP systems are the cost-effective way to ensure success for your school. Your school ERP system will contain multiple options to communicate with all the stakeholders in your institution’s ecosystem. 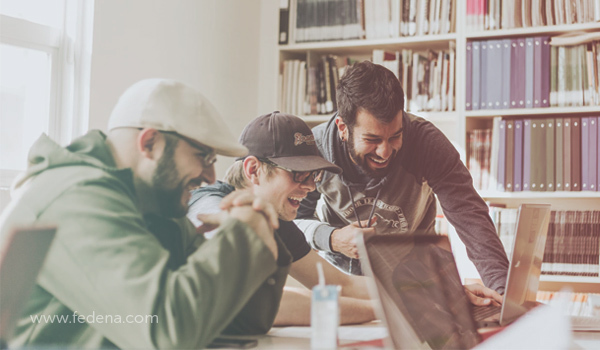 For example, students can have class discussions anywhere and anytime through the creation of classroom groups and student groups where ideas can be exchanged online. Parents and teachers have confidential communication about the progress of their student through private messaging options. Management can send a message out to the whole school – students and parents – using the dashboard feature to make important announcements. This reduction in time delays for communications means faster decision making and faster turnaround times – a win-win for all. We live in a digital world – this is a fact that cannot be denied. Students of any institution will also be graduating into a world that has highly driven by technology. Does it not make sense that the school they gain their education in also be tech-embracing rather than tech-averse? The use of school ERP systems is vital for building a culture that makes technology understandable and accessible to students from a young age. It also gives them a realistic idea of how things function in the real world – employees do not write letters to each other anymore to share work updates, instead, they use emails. Why should students be turning in handwritten reports, when they could be doing the same? No matter what kind of school it is or the level it is functioning at it is very important for a school to use technological tools such as school ERP systems. In most cases, schools and such other educational institutions use these systems in order to make sure that they are able to manage and run their organization a lot better than what would have been possible otherwise. At the same time, the administration also wishes to provide a better overall experience to its teachers and students. However, parents also like these systems because of certain features. 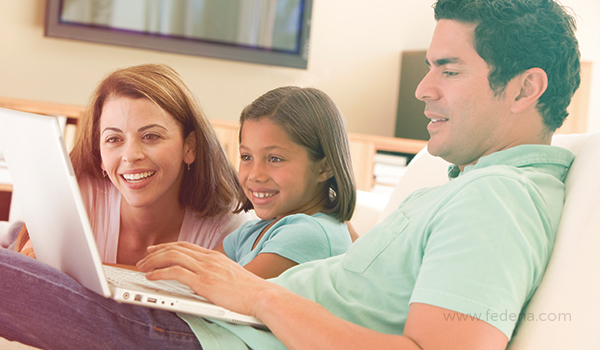 One of the first features that parents love in a school ERP system is enrollment. These days, it has become a common feature of all school ERP (enterprise resource planning) systems. With the help of this system, parents are able to enrol their children for the coming academic year as well. These systems come with entry tests as well as online registration forms. These days, the school ERP systems also come with online attendance facilities that are beneficial to the students and parents alike. In fact, these systems are designed in such a way that all authorized people can view the records and keep track of things if they wish to. Parents can also check out in a single window if their kids are going to the school on a regular basis or not. The benefit of these systems is that they get to view attendance on a real-time basis and at the same time they get informed regarding the leaves as well. One of the biggest benefits of a school ERP software product is that parents always get the latest information about the fees that they need to pay for their children. They can always view the updated fee plans and thus stay informed at all times about this crucial aspect of their kids’ education. With the help of these systems they can easily take care of all the details and at the same time get notices regarding the dues that they are supposed to pay. In case of most parents out there it gets really difficult to talk to the teachers about how well their kids are performing. They just do not get the time to take part in such discussions. However, with an online school ERP system, parents can easily get in touch with the students and keep an eye on their overall progress or lack of the same. These systems also allow them to get all the details of their child’s performance in different school tests and various other examinations. Parent-teacher meetings are an important part of the communication process between the parents and the teachers. In fact, they also play a major role when it comes to determining the kind of relationship that the parents have with the school in general. With the help of these systems, parents get constant information and update about these meetings. This helps them stay prepared and attend the meetings without fail. For parents that value the education of their children, this is an important feature and it cannot be denied under any circumstances. In fact, thanks to these systems parents would come to know in case any last minute changes are made to the scheduling of these meetings. This would also make sure that any and every kind of miscommunication can be avoided. Recap: Does Your School Management Software Take Student’s Data Security Seriously? As has been stated already, these ERP systems for schools can provide parents with all the information that they may need with respect to their children. However, the most important one among them without a shadow of a doubt is the progress report. All parents out there want to know how well their children are doing in school and the best way to gauge that is surely the progress reports. Now, with the help of these systems parents do not need to wait any longer for the yearly report card day with bated breath to know how well their kids have done. Instead, through these systems, they can keep getting such information throughout the year. In fact, as may have been implied already in the piece, with the help of these systems the parents can also get information about how well their kids are performing in various tests and that too on a real-time basis! This also makes sure that they are able to immediately identify any and every gap in the learning of their kids and address the areas where they may be gaps in learning. This way, they are also able to arrange for help in that regard such as additional tutoring before the gap becomes a major problem as such. This is, of course, a major benefit of the school ERP systems that we are talking about over here. These are uncertain times that we are talking about and as such, there is a consistent need among parents to be aware of the whereabouts of their kids on a regular basis. This includes all the trips they make to school and back as well as the various school trips and picnics that they take part in on a regular basis. With the help of an online school ERP system, parents can get a detailed route map of the bus that is taking their kids to school and bringing them back as well. They also get alerts whenever their child boards the bus or gets off the same. Similarly, they would also get alerts in case the bus happens to meet with an accident or exceeds its speed limit at the time of driving. These days, all the work that we do in our home and at work – and even at the time when we are travelling – is dominated to a significant extent by various technological systems and gadgets. The process of digitalization has changed the way we work and for the better, it must be said as well. It has brought forth a significant amount of revolution as far as our business processes are concerned. Now, in the shape of school management software, it is also making forays into the world of education. Technology has now made it easier to have smart classrooms, made learning interactive, and also brought forward educational tools that have made learning solutions a lot better. All this has made academic institutions a lot better than what they were earlier. These days the general atmosphere is one of performance and there is high competition as well. This has made running and managing a school a lot tougher than what it was earlier. This is the reason why schools are always on the lookout for automated management solutions that help them take care of processes and operations in such a way that they gain an upper edge over others of their ilk. Why institutes investment in school management software? Schools these days are interested in using software for school management. The main reason as to why they wish to invest in such an ERP (enterprise resource planning) system is ROI (return on investment). This is where proper planning comes in so handy. Before a school decides whether it wishes to use a school ERP it should look at factors like what it needs from such a system and the budget it can spare for such a system. This will help it determine the kind of ROI that it would be getting from such a system. There are several cost-efficient features of these systems that make it so easy for schools to use an ERP solution. How can school ERP system can help schools? It makes the system a seamless one – one where functions and processes are automated, there is time to make the optimal efforts, and also saves manual efforts. How can an ERP solution help a school save money? When an online school management software product is completely integrated it would definitely have features that would lead it to perform functions that are really powerful enough. They can really help you reduce costs that are actually unnecessary. An ERP solution is capable of using integrated modules. These systems normally come with separate modules for different stakeholders in a school such as the management, parents, faculty, and students. Thanks to these modules, all these stakeholders are able to gain access to critical information that would be relevant for them. All these modules come with functionalities that are specific to each type of stakeholder. This also makes sure that the operations become a lot better than what they were earlier. This, in turn, leads to a greater overall utility for the school. Such a system also makes sure that there is a healthy level of communication and collaboration between the various stakeholders of a school. These ERP solutions make it very easy for these stakeholders to get in touch with each other by enabling instant communication. Recap: How to build a successful school? How to get a positive ROI from school ERP? In order to make sure that it can get a positive ROI from its ERP it is important that schools figure out a base of components that are as intensive and structured as possible. They need to make sure that these components are properly optimized. The school needs to make a plan that outlines the general expenses incurred and income made by the school with respect to the costs incurred by the ERP solution. If a school wants to find out how best it can be served by such a situation over a period of time this is the best way ahead. It is very important that the school looks at the economic implications of an ERP solution before it comes to any conclusion in this regard as such. With the help of a school ERP solution a school would be able to bring down various kinds of costs – administrative, installation, printing, and communication, to name a few – and that too in an effective manner. It is possible for a school to streamline its operations by using an ERP solution and this is how it can focus to a greater extent on achieving a global standard of performance and education for its students. Such a system is capable of coming up with practical, potent, and automatic solutions for the various challenges that a school management may face. This is the way how an ERP solution makes it possible for a school to get positive ROI and this is beneficial not only for the school but for the faculty members, students, and parents as well. How To Build a Successful School? How to start a school? If you are going to be building the next generation of builders, doers, and thinkers, it is important that the school that educates them to have a clear vision of what they are aiming to achieve. It is not enough to say, I want to build a great school. Instead, consider what this would involve at the ground level. Question what values your school would inculcate in students, the steps it would take to reinforce this messaging for parents, teachers, and students, and what success would look like. A clear vision will give everyone a goal to drive towards – without it, all your stakeholders would be stumbling about in the dark without a concrete idea of what they wish to achieve. Schools abound on every street in our cities these days. And we know why – they are a great financial investment and a concrete way to contribute to society. In the previous point, we discussed the necessity of a clear-cut vision when setting up a school. But it is not enough to merely have lofty ideals. Instead, your school should address a need in the educational ecosystem. Identifying this need requires research – speaking to teachers, parents, and students is a good start, but it can also be helpful to review educational policy and the status quo to see how your school can add something to the field, instead of being just another school populating our streets. Setting up a school is not as simple as hanging a signboard in front of a building. Multiple legal and financial formalities must be completed in order for you to establish a bonafide school. These legal and financial guidelines were put in place to ensure that the school being established adheres to some minimal standard of operation. 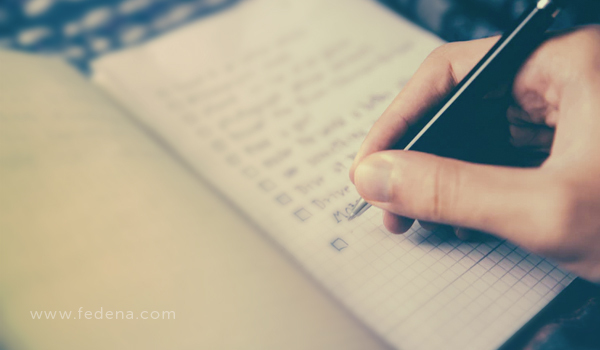 While it might seem like a hassle to go through the paperwork and dealing with the seemingly endless requirements, these guidelines exist for a reason. They ensure that the school is up to par with other schools, thus creating a basic standard of education in the country, and also protect the people engaging in the school – from teachers to parents to students. It is the responsibility of the management to ensure that all legalities and other requirements have been addressed so that the school may be established clear and free. Once the vision has been established, a mission identified and all the legal and technical details have been taken care of, your school is ready to open its gates to students. But before you fling them open, consider reaching out to the communities you hope to service. These communities will be defined by the vision and mission of your school. What are you hoping to achieve? Whom will your school best benefit? What are their needs? These are all questions that must be answered in order to understand who your school is targeting. Connecting with your core community is step one to ensuring a stable and enthusiastic student body in your school. How to improve and grow your school’s daily operations? Your school has opened for business, you have a student body, teachers who are enthusiastic to educate, and a non-education staff that keeps things running smoothly – great! But even if things are running perfectly smoothly, this is not the time to rest on your laurels. Schools may start off with a bang. It might look like the machine is running just fine. But day to day, hands-on supervision and engagement is needed to build a lasting culture that reflects your school’s vision and mission. To do this, it is necessary to be hands-on and proactive in your school’s operations. Alternatively, hiring someone trustworthy to do this is also an option – but choosing this leader is a long and careful process. The time for mere blackboards and chalk is over – modern society needs schools that keep up with it, not archaic institutions that don’t address modern needs. A school established in this day and age needs to embrace technology everywhere it can, not fight it. Technology also makes the day to day running of a school smoother and more hassle-free. It also eliminates unnecessary financial and time waste, while reducing the burdens on humans. Technology like school ERP platforms can help make process driven school functions easy and swift. Easily implementable solutions like Fedena, for example, helps schools reduce labour costs and increase communicativeness. Feedback and iterative changes based on said feedback ensures that your school does not fall into bad habits. Creating a responsive, dynamic school that is swift to address problems and enforce positive change is necessary to establish a good working system that benefits teachers, students, and parents. The first step to this iterative process is to keep channels of communication open for every stakeholder. The people who know what is not working best are the people who deal with issues and trouble with the existing status quo. Create feedback loops where stakeholders feel comfortable approaching you about problems in a timely fashion to ensure swift redressal. Building a talent pipeline that serves your students well is necessary to ensure their success and consequentially your school’s. Building a pipeline that helps teachers excel and grow within your school ensures that you retain the best of the best educators your community has to offer. Stories of the difference a good teacher can make in a student’s life abound, so it is a no-brainer to make this a key metric for your school’s success. Giving teachers the infrastructure and tools necessary to give their best to their students means that they will really be able to empower their students to succeed. Create an interview process that really aligns with your school’s vision and mission. Train teachers continually to ensure that they are implementing the best and most modern teaching techniques. Implement a retention system that holds onto and rewards the cream of the crop. Building a great teaching body is the first step to success. So you have implemented all the strategies discussed here, in addition to some other ones that you found useful. You have a thinking student body, happy and productive teachers, a non-education staff that functions without flaws. Now it is time to blow your trumpet about how well the school is doing. Rely on marketing – word of mouth and planned campaigns – to share success stories from your schools. Are you seeing superlative student results? Are your teachers winning awards for your work? Have you gone multiple days without any mishaps to handle? Share these wins with your community of parents, teachers, students and well-wishers and encourage them to share them with others. This helps build the brand of your school and soon you will see your school’s name becoming synonymous with excellence. We all have a vision to change the world and create a better world for the future generation. There are many among us who want to achieve this dream by creating a learning environment for young students that will spark their creativity and help them to learn better and build a better tomorrow. Real estate agents around the world have one mantra -: Location, location, location. If you have wondered what inspires these real estate gurus to say the magic mantra thrice, the answer lies in the importance of selecting the right location. When starting your school, it is important to ensure that you choose a location that is easily accessible from the city but also is not overpopulated with schools that will be a competition to your vision. If there is already a flourishing school in the same locality as you, then ensure that you are offering a unique learning experience to help you stand out from your competition. Setting up a school administration software will help you streamline all your daily activities so that your school will be able to function in an effective and efficient manner. A school management software will help you with your school admissions, timetable, human resource management, transport management among many other things ensuring that you do not have to worry or stress about the finer day to day activities of starting and running a school successfully. Developing a curriculum for your school will not only serve as a guide as to the social, intellectual and emotional experience want to give your students, but it will also provide you with a roadmap as you create a learning community based on your vision. Today, there are many options to choose from – from following a state-approved curriculum or following a curriculum with a pre-set ideology such as either to Steiner Method or the Montessori method. While it is important to create a curriculum for your school, it is equally essential to invest your time and financial resources in creating a marketing plan to spread awareness about your school. Depending on your budget, this may include a website, social media handles, blogs or you may even opt for billboards, TV advertisements, radio jingles etc. One of the biggest reasons as to why it becomes so hard to implement a school management system is that the software does not always meet the needs and requirements of the industry. There are always some specific tasks that such a system is expected to fulfil and the problems happen when these expectations are not met. This is the reason why it is so important that you, the school management, choose a system that would do what you expect it to do. You need to plan the entire work properly and execute it well. This would make sure that the school ERP (enterprise resource planning) system is implemented properly. You need to check out if it is high or not. Normally it would differ from one school to another. This is a very important reason why you should have a blueprint of how much the software would cost you. You would also have to look at areas such as implementation and installation. In spite of this, you should understand the immense benefits that you would derive from implementing such a system. One of the biggest issues that schools face in implementing a school management system is data migration. As far as you are concerned it is very important that data is uploaded properly in the system. Also critical in this case is deciding which data to migrate. For this, the entire data needs to be analyzed in a clear manner. Normally data such as student admissions, student attendance, fee collections, and student report cards are said to be the most important data for a school. 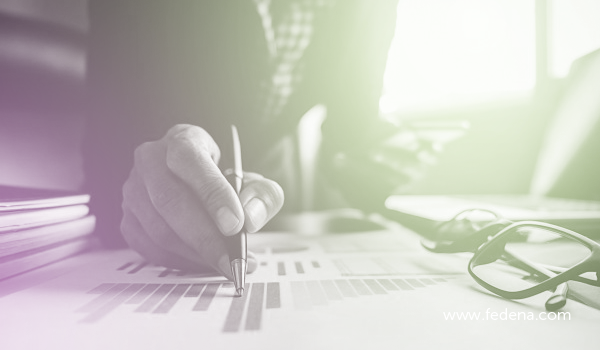 The people in the management such as you need to make sure that it is uploaded onto the database and is then properly checked to verify how accurate the data is. The system should also let teachers, parents, and students have access to it by way of login. At the same time, various people from different departments in your school should be able to view this information from any and everywhere they wish to. Recap: How a school management system helps in managing the student’s journey? This is always a major issue when it comes to implementing school ERP systems. The thing about this is that the ERPs used by schools these days are web-based. This is why good connectivity is needed so that the system could be provided with all the support that it needs. The ERP system in question should also be able to integrate with the software system that you are using right now. The success of a school management system is normally dependent on how well the end users are able to use it. It is very important that all the technical and non-technical staff members in your school know how to use the system. This is applicable for the teachers as well since they would be working with the system as well. You should make sure that they are able to make the fullest use of the system. This is why the end users – the staff – are provided hands-on training so that the school ERP could be implemented in a successful manner. It is also important in this context to make sure that the ERP vendor has a technical team that would work in a dedicated manner and makes you get all the help you need in order to implement it properly. It would also be great if the vendor is able to monitor how the system is going after you have implemented it. This is a key element in making sure that the system functions well and the implementation is successful. This could be done for a period of 3 months immediately after the system has been put in place. There are bound to be issues – it is important that the vendor addresses them. If the need is, the technical team of the vendor should take requests from you for help and assistance. The best thing to do in this regard is for them to offer their senior product experts to you so that the issues can be solved at the earliest and in the most effective way. It needs to be said in this context that Fedena is one of the finest school management software products out there. Over the years it has been able to satisfy the needs and requirements of its clients and you can be sure that it would prove to be equally successful with you. As far as school ERP implementation is concerned it has always been a few steps ahead of its clients. In fact, Fedena has a proud record of having been implemented exceptionally in a number of schools and overcome all the challenges that it has faced in this period. This is the reason why it has been so successful in gaining the trust of its customers as well recognition from all over. It has easily become one of the top names to be reckoned with in this regard. How to build brand awareness for institution? What is building a brand? In an increasingly competitive world, brand recognition help businesses and people stand out from the rest. Building a brand refers to the process of building awareness about the identity and worth a brand. It is an important part of the development of a loyal user base and to signal the values that you or your business stand for. This is an ongoing process that defines your place in the ecosystem you are a part of. But is brand building only to for-profit entities? Brand building is largely seen as a function for businesses or people who are trying to make a name for themselves in their industry, build a customer base, or to make a profit in their work. But this does not mean that other institutions can’t use the brand building to enhance the efficacy of their work. From social media influencers who make a living entirely off of their “brand” to even non-profit or civil society organisations who want to ensure their developmental message reaches the right audience – a brand building is important in a world that is often overwhelmed by information overload. It helps your audience understand who you are and connect with you better, resulting in much deeper interactions, better engagement, and unending loyalty. Why is it important for institutions? The educational ecosystem is increasingly becoming complex and thus competitive. With many new teaching and learning techniques being unearthed regularly, it makes sense that there are different systems of education on offer in the education marketplace. Building brand awareness about your own personal system of education helps potential students, their parents, and educators seeking teaching positions at schools and colleges understand what your institution stands for. It is also a good way to communicate the success metrics of your institution and what it can do for each of the stakeholders engaging with your school or college. Building a brand helps potential stakeholders accurately understand what your educational institution stands for. How can one build brand awareness? Building brand awareness can happen in many ways, but the first step is to understand the value and location of your brand itself. In the case of an institution, this would be understanding the benefits you offer all your stakeholders and how you compare on multiple metrics to your fellow institutions. After this has been accomplished, it is all about connecting with your audience. This can be done in a variety of ways, from building a strong social media presence to sharing updates regularly with your natural audience to promoting yourself through more traditional forms like meet and greets or face to face meetings. The key is to ensure all communications reinforce your brand. Recap: Why Fedena is the best school management software? 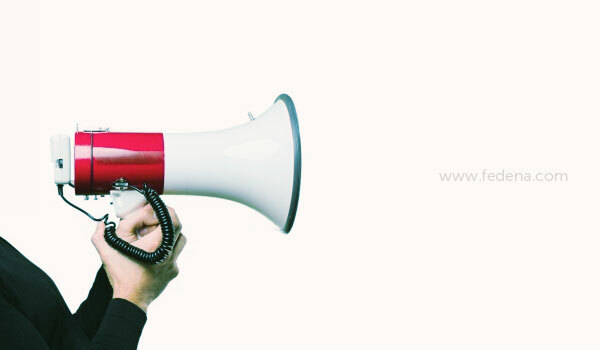 How can Fedena help you build brand awareness? One of the most effective ways to reinforce your brand is through direct person to person interactions. Your institution does this in multiple ways already – like reminding students about the school rules during morning assembly or emphasising school values to parents during parent-teacher conferences or delivering key messages to teachers during teacher training workshops or via upskilling programs. Fedena’s Alumni plugin can be the key to helping you deliver key results to your audience. This plugin helps connect students, educators, and non-educator staff connect with alumni to build networks and relationships. As any professional will tell you, this is step one to building lasting relationships that result in mentorship, focused advice on education and career, and keeping your hand in with the outside world. For students, this might result in a great internship that puts them on the map along with their school. For educators, it might result in relationships that help them open up the world to their students or give them the resources and tools they need to excel in the classroom. For non-education staff and management, it helps them remain in sync with the times and ensure that they continue to serve for real-life situations rather than a utopian educational ideal. The Alumni plugin makes organising opportunities for this relationship building to take place a breeze. 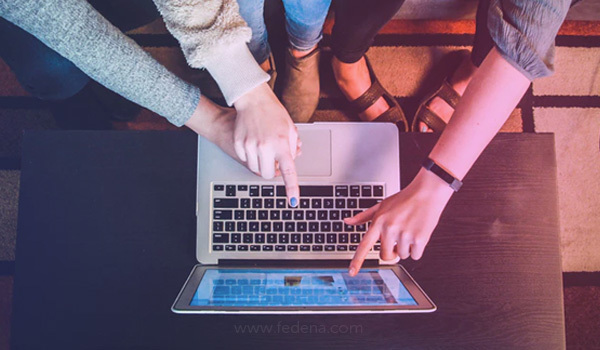 You can use the plugin to organise an event, create invites, manage a guest list and remain connected all within the Fedena platform. Making meaningful connections has never been easier. 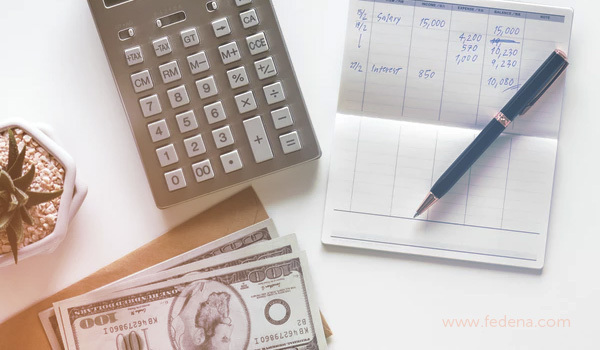 When you have a good ERP (enterprise resource planning) system it can help you to manage your payroll work a lot better than what would have happened otherwise. With the help of such software, you would be able to manage the salaries being paid to your employee a lot easier. On an average, there are around 20 students for each teacher in every school out there. On an average, each school enrols around 1000 to 1500 students each year. This means that on an average each school has around 75 teachers. Along with that, there are other employees such as people working in the administrative department, peons, clerks, people working in the maintenance department, and receptionists to name a few. The hard part of this is that this huge amount of data has to be maintained each month. Normally, schools try and maintain such data on Excel sheets. Little do they realize that it is next to impossible to do such work on Excel without making any major mistake! It also needs to be said in this context that such work does take up a whole lot of time and resources as well. However, with a good school ERP system such as Fedena they can do this work in a smooth manner and in very little time as well. Thus they can save a whole lot of time and resources that they can devote to other important work. With a proper school leave and payroll management system you can make sure that you are a lot more organized than what you were before. You can retrieve your data quite easily. Since these systems utilize the latest technology such as Cloud to store such data there is no question of the information getting lost. These systems also provide easy access to all the stored data, which means that you can get back the data as and when you want to. These systems let you categorize information in different ways. Apart from the kind of data that has been mentioned already these systems can also help you include information in your payroll systems like benefits provided to employees and mode of payment. By using these systems you can perform various important activities like defining the departments of your employees along with their designations, frame the structures for salaries and leaves to name a few. You can also create specific categories for deduction as such. It could be that there are some employees that you pay through check and some whom you pay through cash. The biggest benefit of these systems is that they can be fully integrated into the kind of system that you are working. You can do it in a very simple way without any problem whatsoever. One of the biggest changes in the realm of education has been the transformation of the term school – from a noun to a verb. A decade ago a school could be defined as a geographical location where students went every single day. Today, with the advent of technology and digital learning tools, a school is a learning process – irrespective of the location and the time. Since an online school is not bound by space or time constraints, they are able to provide an unlimited number of courses for the students. Thus, an online school student has access to a larger number of courses that they can take at any time and place of their convenience. In a traditional school, there are a few mandatory costs associated with using classroom space and equipment. However, these do not apply to an online course and with the right tools and software, students can enjoy large savings on the fees. Instead of sitting in a classroom with multiple distractions or a crowded library, an online student has the flexibility to create his own environment that is best conducive to their learning, this can include soft music, choice lighting and even stocking up of tea and coffee to create the most suitable learning environment. One of the biggest benefits of taking an online course is that it offers students multiple channels of communication with the teachers. Instead of waiting to speak with the teacher after class, an online student can clear his doubts by mailing the teacher, chatting with him on the messaging boards, or simply calling up for a curriculum related chat. This consistent communication with the teaching authorities not only makes the topic more relatable to the students, but it also increases their confidence in the subject. Students of an online course can also join virtual study groups and collaborate with their peers from across the world. This not only broadens their learning but opens their mind to new thoughts and ideas related to their subject. Online learners thus get an understanding of new trends in the subjects of their interests and stay updated at all times. In a traditional classroom, students have a constant pressure to keep up with other students and perform at a speed that they may not be comfortable in. However, in an online course, students can learn at their own pace, stopping to review the topics repeatedly, or clearing the doubts with the teachers. Even for students who are completing the course at a record pace, they do not have to wait for other students to catch up with them and can move ahead on their own in need be. These are some of the benefits of an online course over a traditional course. Do share your thoughts in the comments below. The process of reading books outside one’s scheduled area of expertise or work is also referred to as extensive reading. More than anyone else, this process has some immense benefits for students. For starters, such reading helps them develop a sense of autonomy. In fact, it is said to be the best and also the cheapest way for a student to develop such qualities. By its very nature reading happens to be a rather individual and private activity. It is one thing that you can do at any time of the day and at any place of your choice. You can start reading when you want to and stop as and when it pleases you. Here readers have the freedom to interpret and visualize the text that they are reading just the way they wish to. They can also ask themselves any question that they wish to – it can be an implicit one or an explicit one. Apart from this, they can also take notes about the language or just let the story take them along the flow. As far as various sources of comprehensible inputs are concerned reading happens to be the one form that is the most easily available. This is especially true for places where the students do not have much access to a language that they are looking to learn. If these texts can be chosen carefully, keeping in mind their comfort and capability levels, it can help students reacquaint themselves time and again with language items that they are already familiar with. This way they are able to strengthen their existing knowledge and increase it further. There is hardly any other way in which a student will get to learn new languages and that too within the limited scope that a class offers. A great way to learn any language is through immense exposure to it on a repeated basis, and that too in a definite context. The best way to do so is through extended reading. We might not know or understand this but the benefits of extended reading go far beyond mere reading. Students become competent in a wide range of areas such as reading as well as other skills related to languages such as writing, control over syntax, and speaking to name a few. There is, in fact, plenty of evidence in the academic circles to suggest that there is a significant improvement in speaking skills that comes as a direct result of extended reading. So, when a student is reading in an extensive manner all her or his language skills are being honed and not merely reading. As far as most of the students these days are concerned there is rather limited knowledge of the world that they are living in. This is applicable from an effective point of view as well as a cognitive one. Their experience of the world is likewise as well – limited at best. This is where extended reading can come in and make such a difference. It can throw open the windows of this world to them and they can see it through many different kinds of eyes at the same time. This is one education function that extended reading plays and one that cannot be stressed enough to reveal how important it is. When a student is in the habit of reading books outside her or his curriculum it helps her or him improve her or his vocabulary. Not only that; with extended reading students are able to improve this rate of growth and sustain it as well. It is not possible for you to extend your vocabulary with just a single session of reading. You need to be doing it time and again in order for the growth to happen. With extended reading you are exposed to phrases and words of a language in a context time and again. This also means that you become progressively acquainted with them. Since you are learning a new language in a proper context you are also able to deduce things a lot faster in this language. There have also been plenty of studies in the academic circles that support the theory that extended reading helps students improve their vocabulary and sustain it through continued exposure to language in various contexts. Extended reading can also help the students improve their writing. In fact, the connection between reading and writing happens to be a well established one. The more you read, the better you become at writing. As far as academicians are concerned there is no clear logic to suggest why this would happen but it happens nonetheless. Common sense suggests that when you read you meet a language more often, per se. Your mechanism for acquiring language works in such a way that it is able to reproduce this knowledge in the form of speaking and writing as and when it is needed. There is a circle of virtue – success begets more success. It makes sure that when you are able to read a new language and master it with a modicum of success you are motivated to repeat this trend even more. It helps your self-esteem and that too in a positive way. You feel encouraged and this causes you to read more. In fact, when you are able to read your first book in a new language and learn it the positive effects of it are undeniable. Academics say that it is a lot similar to hitting a home run. However, they also suggest that the first reading material should be a compelling one. Merely an interesting one would not serve the purpose over here. It is the success that a student achieves with her or his first instance of extended reading that prompts her or him to keep doing it time and again.